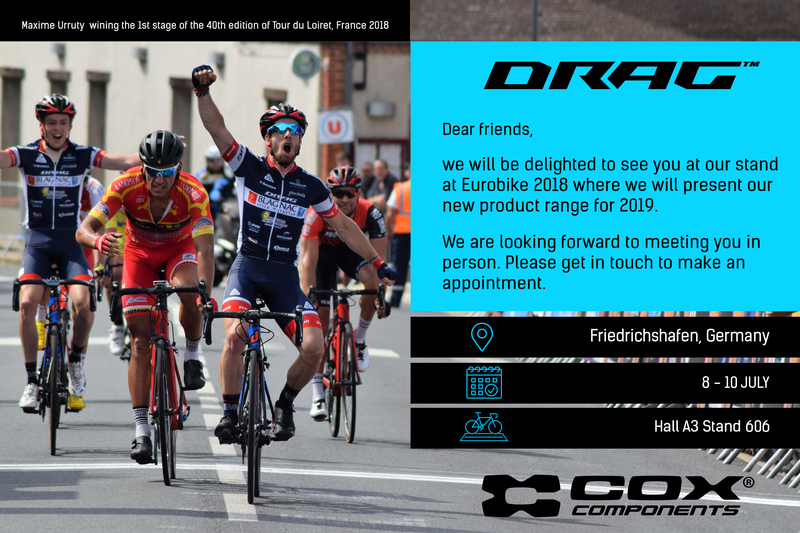 DRAG will be at Eurobike 2018, the world’s leading trade fair for the bicycle industry, in Friedrichshafen from 8 – 10 July. The new products range will be presented at the event. DRAG Bicycles and COX components are participating in the trade fair since 2011. Following on from the success of our previous participation in this global trade show that covers everything about cycling, Drag Bicycles will this year be in hall A3 extension, stand 604. Armed with our 2019 catalogue and a whole host of new models that have yet to be launched, our product and sales team will be more than ready to provide you with all the info you need about our range of bikes.